The change highlights the challenges facing Memorial Sloan Kettering, one of the nation’s most prestigious cancer centers, amid a widening crisis. 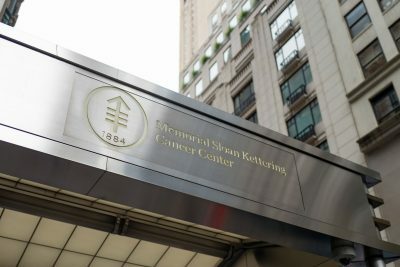 Memorial Sloan Kettering Cancer Center has abruptly changed the focus of an annual fundraising campaign amid a widening crisis that has already led to the resignation of its chief medical officer and a sweeping re-examination of its policies. The campaign, initially titled “Harnessing Big Data,” was to have focused on the cancer center’s research into the use of artificial intelligence in cancer treatment, according to a brochure on Memorial Sloan Kettering’s website. The move follows an article Thursday by ProPublica and The New York Times about an exclusive deal that Memorial Sloan Kettering made with an artificial intelligence startup to use digital images of 25 million tissue slides analyzed over decades. The company, Paige.AI, was founded by three hospital insiders, and also involved investors who were Memorial Sloan Kettering board members. Pathologists at the hospital complained that their work was being commercialized for private gain and that patients were not being informed that images of their tissue slides were being shared with an outside company. The hospital and its officials said they did nothing wrong, but acknowledged that they could have communicated better. A spokeswoman for Memorial Sloan Kettering said Tuesday that the Society of MSK would instead focus on patient care and would proceed. The society’s annual campaign typically raises funds ranging from roughly $800,000 to $1 million for the hospital, she said. 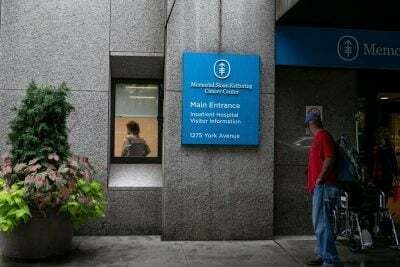 Over all, the society raised more than $20 million a year for Memorial Sloan Kettering, according to its annual reports. The change highlights the fundraising challenges faced by Memorial Sloan Kettering, which is one of the nation’s most prestigious cancer centers and recently completed a $3.5 billion multiyear fundraising drive. Earlier this month, the hospital’s chief medical officer, Dr. José Baselga, resigned under fire after an article by ProPublica and the Times revealed that he had failed to disclose his extensive industry ties in dozens of medical journal articles in recent years. At meetings and in online forums, patients and staff members have expressed concern about the institution and the way in which it interacts with the health and pharmaceutical industries. The hospital has announced a task force to study its conflict-of-interest policies and said Tuesday in a note to the staff that it would hire an outside law firm to conduct a “focused review” of unspecified concerns that had been raised internally. The leaders said they believed the concerns were without merit. That uneasiness was reflected at a staff meeting on Thursday, when a pediatric neurologist told the leaders that she was a little embarrassed about the institution even though she is a spokeswoman for Cycle for Survival, a Memorial Sloan Kettering charity that raises money for research. She asked for advice on how to move on, according to several attendees. Dr. Craig B. Thompson, the hospital’s chief executive, responded that it was important to focus on the cancer center’s dedication to treating cancer, including the rare cancers that are the focus of Cycle for Survival, according to the attendees. Cycle for Survival raised $39 million this year. The hospital spokeswoman, Christine Hickey, said the 2019 Cycle for Survival event was already planned and would proceed. A for-profit venture with exclusive rights to use the cancer center’s vast archive of tissue slides has generated concerns among pathologists at the hospital, as well as experts in nonprofit law and corporate governance. Dr. José Baselga, the hospital’s chief medical officer, stepped down days after a report by ProPublica and the New York Times that he failed to disclose millions of dollars in payments from the health care and drug industry in research articles. The fallout has led medical and academic experts to call for tighter disclosure rules on potential conflicts of interest in the cancer research fields and among major nonprofit organizations. Thompson and Dr. Lisa DeAngelis, acting physician-in-chief, acknowledged the issue of low morale in an email to the staff on Monday. Consultants for nonprofits said major donors were unlikely to be easily rattled by news reports, but that could change depending on what happens next and how the hospital responds.